Epec Engineered Technologies is one of the oldest printed circuit board companies in the U.S., building PCBs since 1952. Epec is one of the founding members of the Institute of Printed Circuits (IPC), created in 1957 to help advance the PCB industry. While visiting a customer I was asked, “Has the introduction of your new products like custom battery packs and energy efficient EC fans taken your focus and attention off of PCBs?” While I assured the customer that we are fully dedicated to PCB manufacturing, it occurred to me that as a company, we need to better demonstrate that dedication consistently to our customers. 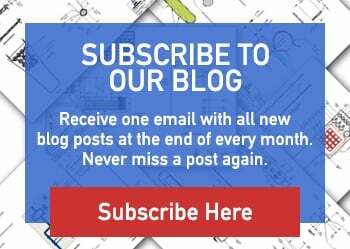 Having been around as long as we have, we need to avoid the trap of becoming complacent, assuming everyone knows that because we’re a PCB manufacturer, all of our new products and services we provide connect to that area. I want to share a few specifics that demonstrate our commitment to the PCB business. Every one of our other products also contain a printed circuit board as a primary component. It is our expertise in circuit board manufacturing that has allowed us to provide and improve other products with both a technical and cost advantage over our competitors. Our custom battery pack business is focused around the design and manufacture of high reliability lithium battery packs. The key behind every one of the battery pack designs is that a PCB manages the circuit protection, cell balancing, fuel gauging, and charging and overall operation. EC stands for Electronically Commutated which basically means a fan with a brushless DC motor. DC motors rely on carbon brushes and a commutation ring to switch the current direction, which reverses the magnetic field polarity in a rotating armature. To control the motor accurately and efficiently, there needs to be integrated electronics to continuously monitor the motor speed and adjust the control input which makes our EC motors 65% more energy efficient than AC motors. The thing that we use to control the motor, you guessed it – a printed circuit board. Close to 60% of all of our cable assemblies include a circuit board. Whether it is a small intricate PCB for an overmolded assembly or a custom connector on the end of a cable for a unique operation, PCBs play a major role in our cable business. Over the past three years we have invested well over $750k in developing and refining the manufacturing process to be able to produce the highest technology extreme copper circuit boards for the most demanding military and aerospace applications. We are not talking about standard PCBs with 4oz or 6oz copper, but rather 10-layer PCBs with 2oz and 10oz copper weights on the SAME outer layer. Or 1/2” thick copper slugs being embedded into the laminate and then adding 15 ounces of copper with additive plating to the outer layer. As you can see, these are not run-of-the-mill circuit boards that typical manufacturers can produce. As the need for smaller package sizes and higher reliability circuits arose, we began to invest in the technical resources and factories needed to meet those requirements. Since our initial foray in 2009, the flex and rigid-flex PCB business has grown at an astounding 43% CAGR and is now one of the benchmarks of our business. While some may say that a flex/rigid-flex is the same as a rigid printed circuit board, we know differently. At Epec, we have a group of dedicated technical experts who focus on the unique challenges and customer requests for flex products. At this point, you can go anywhere in the industry for 1 or 2 layer PCBs with very little risk. A lot of companies advertise online that you can get a 2-layer board in 3 days for $29 (Of course they don’t advertise the significant restriction with that price but the devil is in the details). So rather than try to compete and strip out a profit with $29 orders, we set ourselves apart by investing our time and money in delivering the best quality high tech printed circuit boards faster. We have added additional CAM engineers who provide around the clock support for our customers, ensuring that there is always a technical person on staff to manage any production questions. We have invested in the equipment to meet high technology demands, such as Laser Direct Imaging (LDI) equipment that allows us to get down to .002"/.002" lines and spaces, or automated via fill and planarization equipment so that we can assure the highest quality via in pad products. While anyone can fulfill a 2-layer PCB order in 15 working days, our long-time customers tell us that when it has to be right, when it has to be on time, or when the component risk is high, they come to Epec. One of the ways we are working to keep our costs down for our customers is finding ways to take steps out of our process. 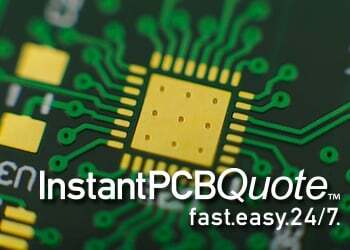 By investing heavily in our InstantPCBQuote online PCB quote and ordering platform, we are able to reduce the costs for our customers by giving them the ability to generate their own quotes and place their own orders. InstantPCBQuote creates lower prices for our customers by eliminating labor for the order until it gets into the production planning stage, which commences automatically once entered by the customer (our online system has no restrictions; we make the board just the way that you require and meeting our high quality standards). On top of that, we have introduced our customer portal system which allows customers to review their open orders, quotes, statements, invoices, tracking numbers, and many other things. Our goal is to give customers more access to their information to enable for quicker decisions. We are always looking forward to finding the next new PCB cost saving initiatives to give our customers even more power! 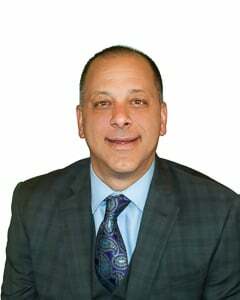 Investment in high technology circuit boards, online quote/order management, and techniques to reduce the total overall acquisition costs to our customers has been over $2M over the last 5 years. In 2000 there were over $12 billion worth of PCBs purchased in North America, compared to $2.6 billion in 2015. So the question is: How does a PCB manufacturing company grow and survive in an industry that has a -10% CAGR over the past 15 years? The answer is to leverage our expertise in printed circuit boards to help in growing industries like batteries and energy efficient fans, while maintaining circuit boards as our core. When we examine the body of Epec, printed circuit boards are in our blood and they will stay a big part of our business for a very long time. Epec printed circuit boards flow through everything we do, giving life and functionality to our other products. The goal for all of our 120 employees worldwide is to improve upon a strong company that will continue growing for years to come. We know you have to find ways to grow to survive, and if your main industry isn’t growing, you need to use your versatility to enter one that is. Our commitment is to continue investing in our business and our people to ensure that we deliver products on time, of the highest quality, and at great prices.